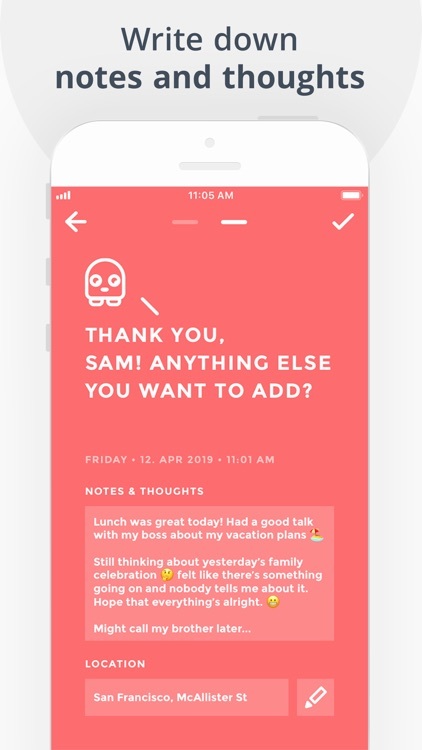 Moodistory is a powerful low-effort mood tracker & mind journal with a unique and beautiful design. Create journal entries in less than 5 seconds, without writing a single word. Use the integrated mood calendar (featuring your year in pixels) to easily find mood patterns. Become aware of your highs and lows and analyze the cause for mood swings. Discover triggers for a positive mood and establish awareness about your mental health. Life is about ups and downs. It can sometimes be a bumpy road and even feel like an emotional roller coaster. But awareness is key if you want to understand your emotions and moods. Moodistory is here to support you in doing that! It is a mood tracker & mind journal for self-improvement to foster your mental health, happiness and well-being. But it is also a supporting tool for coping with mood swings, bipolar disorders, anxiety and depression. 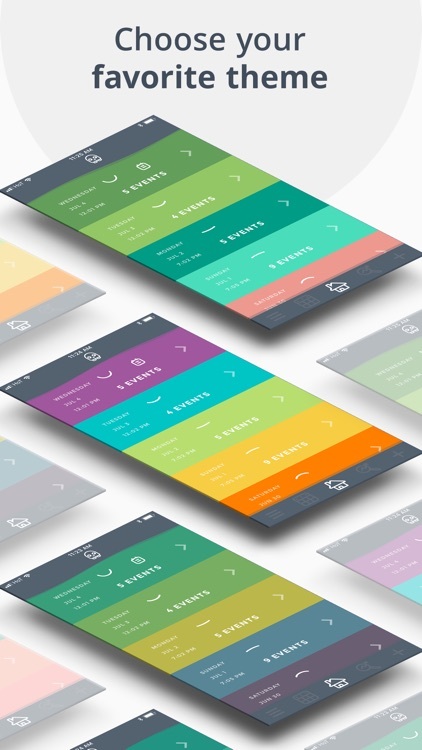 It serves as a valuable accompanying app in psychotherapy and coaching. 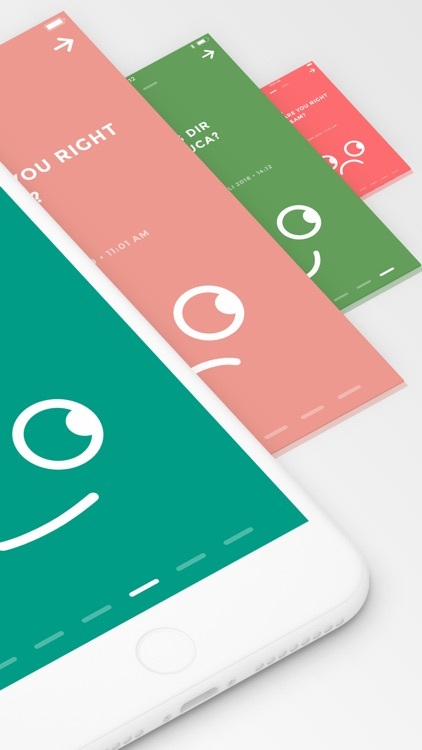 Your mental well-being, your mental health is Moodistory’s mission. 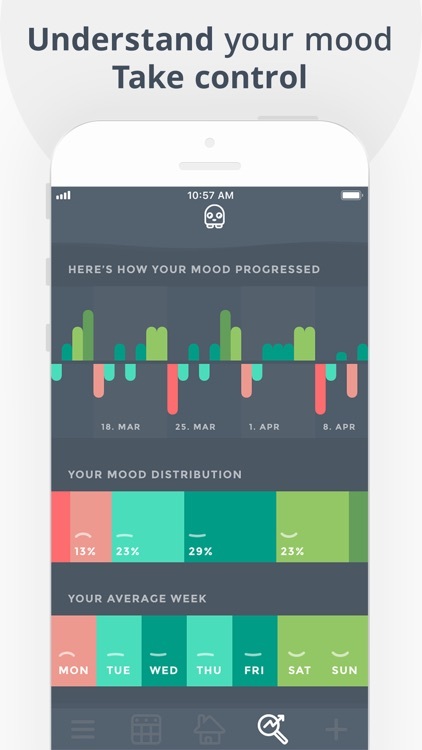 Find out all about Moodistory’s mood tracking features below! 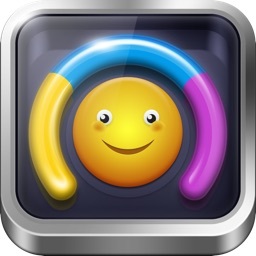 • Create journal entries in less than 5 seconds, without writing a single word. • Add details by choosing from more than 140 events/activities in 9 categories. • Save thoughts and notes with your mood. • Add your location automatically or manually via map. • Mood calendar: quickly switch between yearly, monthly and daily calendar views. • Year in Pixels, Month in Pixels (with export and sharing capability). • Drill down feature: Navigate from a high-level view straight to the low-level view that shows all underlying entries. 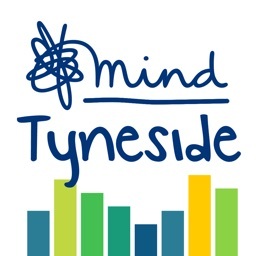 • Find out what triggers a positive or negative mood. • Fully customizable events/activities list. 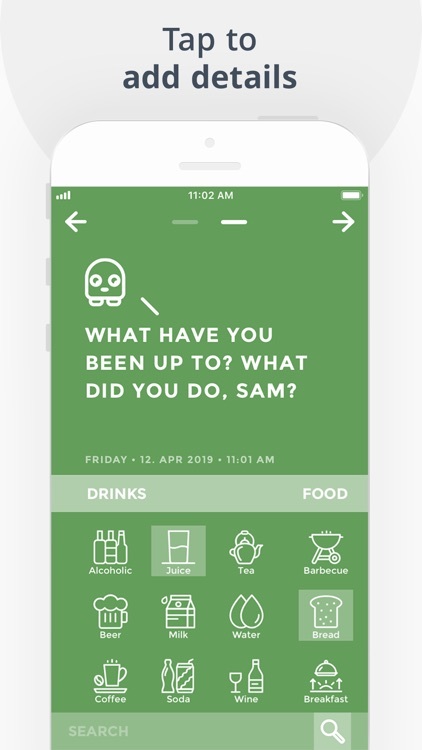 • Setup Face ID/Touch ID/Passcode to keep your mood data safe from others. 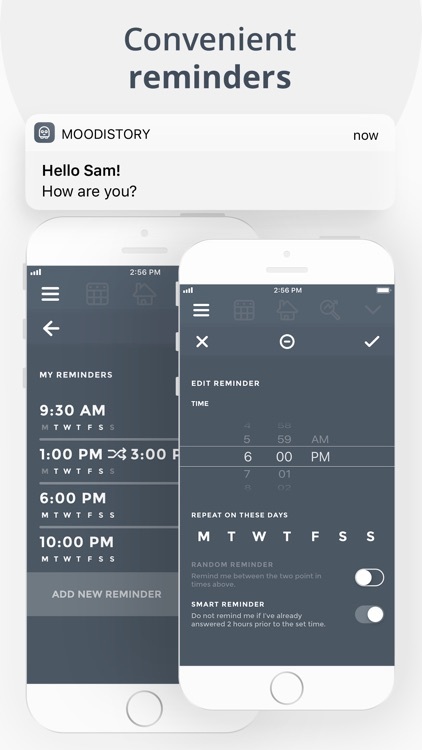 • Setup reminders that fit your daily routine. • Random reminders: Set up a time frame in which you would like to be reminded randomly to create a new diary entry. 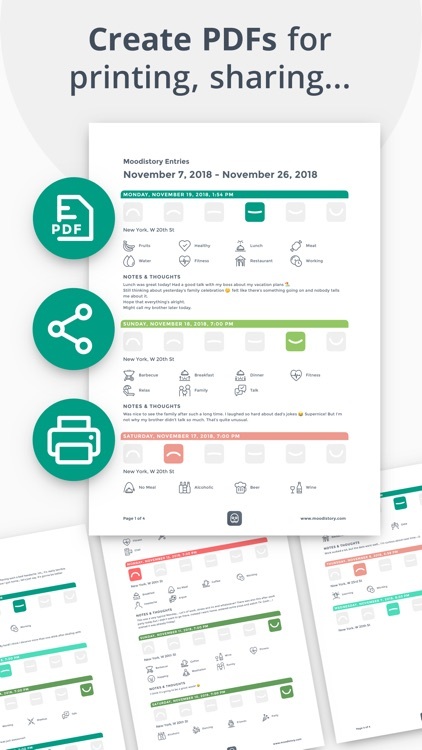 • PDF-Export: Create a beautiful PDF in seconds that you can use for printing, sharing, archiving. • Unique, beautifully crafted and customizable design. • No registration needed: Jump right into the app without any cumbersome signup procedure. • No additional costs, premium packages or subscriptions – pay once, keep it and get all updates for free! Only things that are measured can be improved! Therefore, the first step in self-improvement is to raise awareness and to understand - knowledge is power! 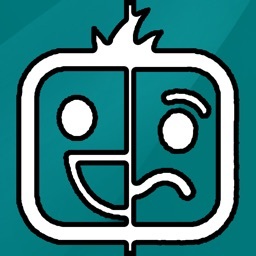 Moodistory helps you in understanding inner problems, fears and concerns. It supports you in increasing your problem-solving skills by discovering behavioral patterns and triggers. 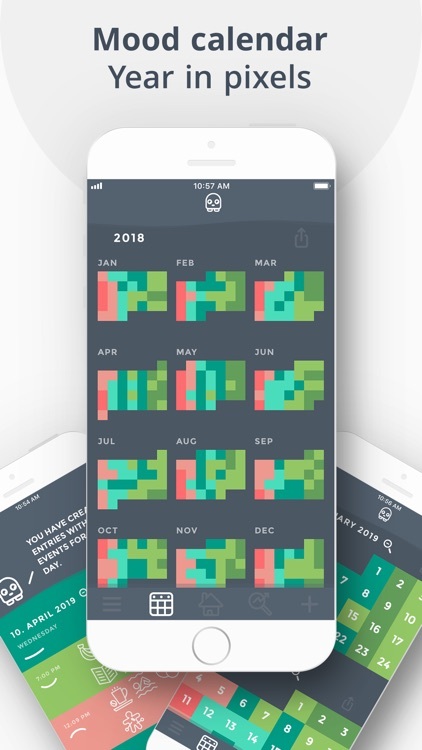 Moodistory’s monthly and yearly view (aka “year in pixels”) illustrate your mood phases and therefore supports you in creating your own early-warning system for mood swings or bipolar phases. Once you have a better understanding of your situation, you'll automatically be able to better cope with hassle, stress, anxiety and depression! 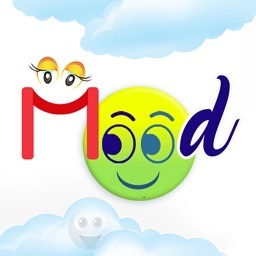 Because Moodistory establishes facts about the history of your mood, you'll feel more in control! A mood tracker holds very sensitive data - and that's why we made sure that your data is always safe! 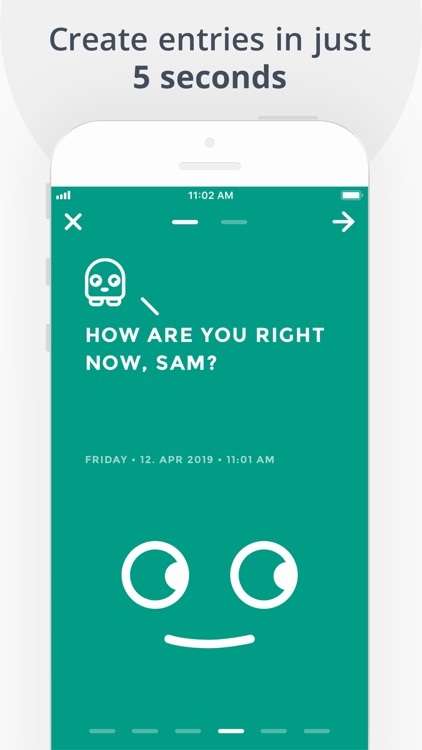 Moodistory saves your data ONLY on your iPhone locally, so only you can access it. We do not store any of your mood data on any server and we do not share any of your mood data with any other app or website. No one but you has access to the data of your mood tracker! 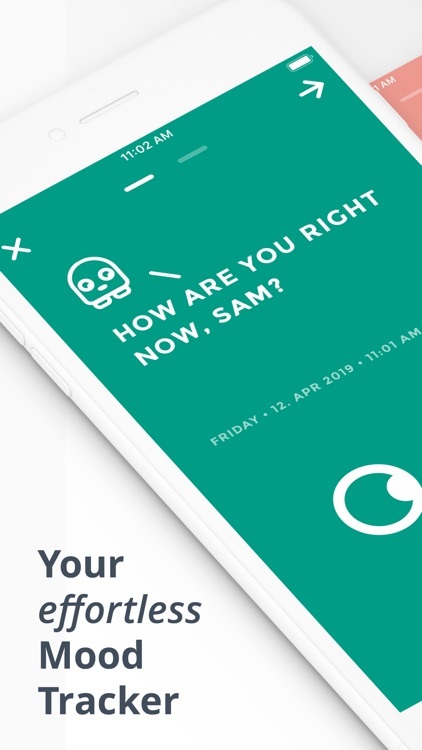 Moodistory was created with you in mind. We think that keeping a mood diary is supposed to be fun, rewarding and easy to do. We’ve invested hundreds of hours into design and navigation to provide the best usability. But we don’t stop here! 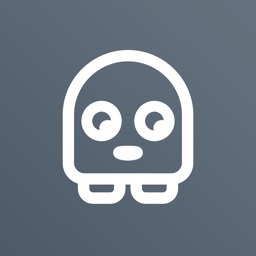 - We are committed to improving Moodistory continuously with your feedback!